This is an early basophil (white blood cell or granular leukocyte). Its diameter is approximately 9micrometers. 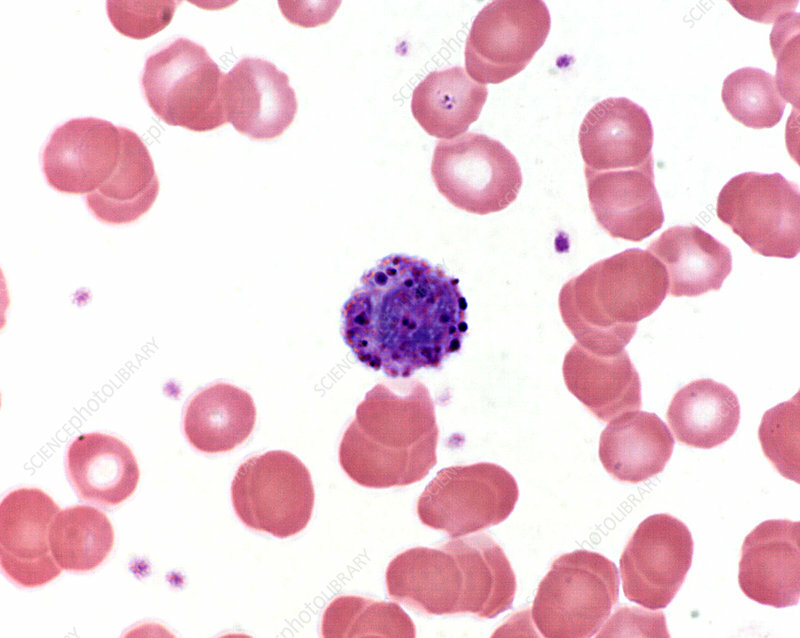 The characteristic granules of the basophil are large and tend to obscure the shape of the nucleus. Basophils account for less than 0.5% of the total white cells and thus are difficult to find in a blood smear. Wrights stain.